A joint venture between Bank of China (BOC) Hong Kong, JD New Orbit Technology and JSH Virtual Ventures Holdings (JSHVV) has been granted a licence to operate a virtual bank, reports Jane Connolly. The total joint investment for the establishment of the new bank – Livi VB – will be HKD 2.5 billion ($3.18 billion). BOC Hong Kong, JD New Orbit and JSHVV will invest in 44%, 36% and 20% interest in Livi VB respectively. 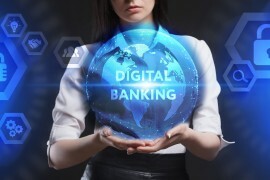 In a statement, the companies say that the new virtual bank – which is expected to launch in about six months’ time – would use technologies such as artificial intelligence, blockchain, big data and smart risk modelling to create a simple, seamless and secure digital ecosystem. The news follows other recent big developments in virtual banking in Hong Kong. Earlier this week ZhongAn Technologies International was also granted a virtual banking licence by the Hong Kong Monetary Authority, as was a joint venture between Standard Chartered, HKT, PCCW and Ctrip Finance. In China, it was announced that Bank of Beijing and ING were working together to set up a new digital bank through a combined investment of CNY3 billion ($447 million).